The Highland Shifters is now on sale for only 99 cents! Check out the Highland Shifters giveaway! The Highland Shifters boxed set is made up of almost entirely never before released stories, including mine! My story is The Highlander’s Mate and it is a prequel to Wolf at Her Door. The Highlander’s Mate by Liliana Rhodes: Centuries after an ancient curse on his clan tore werewolf Bran MacCulloch away from his mate Ainsley Drummond, he catches her scent on the breeze. But how can it be her? I remembered everything as if it just happened yesterday. Only it wasn’t so recent, it was a long time ago. Time didn’t change how I felt or the pain that coursed through my chest whenever I thought of him…Bran. He was the love of my life, the one who made me feel things I never thought possible, but I had to leave him. It was the hardest decision I had ever made, one I might not have chosen if I realized how long forever would feel without him. Where the hell was I? Turning off the road, I noticed a sign that said Leeds Point. I was in New Jersey, a state I had been to a couple of times before and had never thought I would return to again. This time was different though. I caught her scent and I had to follow it. I didn’t have a choice. I would follow that scent wherever it led me. It had been over four hundred years since I first caught her scent. How could she still be alive? The road was dark with only a few street lamps guiding me. I didn’t know where I was headed, but in the distance I saw a green neon sign for a bar called Night Shift. Did people accept shifters in this strange town? Or was that name just a coincidence? As I steered the car towards the rickety old wooden building, I knew the answer–the air was filled with shifters. Breathing in deeply, I tried to catch her scent, but it wasn’t there. If I were patient, it would come back to me. It had to. Everything around the building looked worn down and deserted. Why would any shifter or even human come here? I knew the bar was a dive before I even stepped out of my car. But for some unexplainable reason, I felt that was where I needed to be. Wearing jeans and a polo shirt, I knew I would fit in with the crowd. It was a habit I cultivated a long time ago. Someone like me didn’t want to stand out in the crowd. Blending in was safer. Not that I was afraid of anything, I just didn’t want to attract attention to myself. Walking past the large man at the door, I sensed he was a manatee shifter. I always recognized what each shifter was. I had been around for too long to not recognize the subtleties. The place only had a few tables in one corner by the bar. There were some shifters shooting pool, another looking through the selections at the jukebox, an alpha grizzly behind the bar, and a wolf by a pinball machine talking to a brunette human and her friend. They were wearing skirts that were too short for their own good. He was going to cause trouble before the night was through. I stepped up to the bar and stood between two stools. No point in getting too comfortable yet, I thought. The bear nodded at me as he walked over. He was a tanned, muscular man with kind eyes and the scent of a human on him. A couple of women at the end of the bar were talking about him. I closed my eyes briefly to listen. “Come on sweetie, I promise I’ll bring you back to your friend later. Let’s go for a ride,” the wolf by the pinball machine said. “My name isn’t sweetie, it’s Suzy,” the human he was talking to said. Turning to look over at the wolf, I could see him becoming more aggressive. He was pushing himself closer to her even though she was pulling away. Her hands were on his chest as she tried to keep him at a distance, but he didn’t realize any of it. He was too tuned into her humanness to notice the fear in her eyes. I knew men like that. It didn’t matter if they were human or shifter, they were always wrong. “What can I get you?” Rafael asked. “Whatever’s on tap,” I said without looking at him, feeling the amber glow of my eyes. Pushing my dark, chin-length wavy hair back, I left the bar and walked towards the pinball machine. The fur was already beginning to sprout along my neck and arms, but I wouldn’t make a full shift to wolf. I only wanted its strength. No one else in the bar could hear what was going on between the wolf and Suzy. These shifters weren’t like me or any of my clan. Most shifters weren’t like us. Focusing my attention on the wolf, I listened in again. The wolf grabbed Suzy by her arm and she tried to yank it away, but it was useless. “Let her go!” her friend said as she pushed at the wolf. With his free arm, he swatted the friend away like she was a bug, his eyes glowing amber. She stumbled onto a nearby table, which tipped over and landed on the floor. I had seen enough. The wolf turned towards the door, dragging Suzy with him. Just as she screamed, I put my hand on his shoulder, turned him towards me, and let my fist meet his face. I never hit a man who didn’t see it coming. It wasn’t the way of a Highlander. He let go of the human, and she ran to her friend as Rafael leapt over the bar and stood between the wolf and the women. The wolf threw a punch at me, but he was too slow and I easily stepped aside then grabbed him by the back of his neck as he lost his balance. The manatee at the door entered the room. With one hand, I held the wolf shifter by the back of his neck and tossed him towards the door. If he wanted to act like trash, he deserved to be treated as such. As I made my way back to the bar, the few people around stepped out of my way, their eyes wide. Whether human or shifter, I was used to that look from others whenever I displayed my strength. Rafael brought Suzy and her friend to the bar and gave them a couple of drinks. Then he tilted a frozen mug under the tap as he filled it and placed it on the bar in front of me. “That’s on the house,” he said. “No, I’m a paying customer,” I said. “What gave me away, lad?” I said jokingly. “You’re not the only one with an accent, you know,” he said, letting his New Orleans roots shine through. “Our voices will always tell our tale,” I said with a grin. It didn’t matter how long I had been away from Scotland, it never left my voice. Suzy slid over a few stools with her friend close behind and sat beside me. They were both tempting with full cherry-glossed lips, but I knew why that wolf chose Suzy over her friend. While humans thought of Suzy as fat, shifters saw her as curvy and luscious. Her scent called to my own wolf spirit to play, but hers wasn’t the scent I longed for. She looked down, embarrassed, and I felt bad for talking to her like that. I couldn’t help but treat her like a child. She was a child. But in comparison to me, they all were. After a couple of hours, the bar emptied. The bouncer came in and sat down with his feet up on a table, his chair leaning back unsteadily against the wall. Rafael took glasses out of the dishwasher under the bar and dried them with a rag. I continued to nurse my beer. I admired his courage and gave him a smile. Most men wouldn’t ask me a question like that. Most men didn’t speak to me. “You’re…immortal?” he asked, his eyes growing wider. “You’re hoping you’re wrong and she’s still alive,” he said. I smiled and rubbed my stubbly chin as I admired how perceptive he was. “You look like you’re in the mood to talk,” he said. “Well, the bar is closed so you’ve got all night,” he said, smiling. I gave him a nod, appreciating the respect of someone so young. It was something I didn’t often find these days. Thanks for reading the excerpt for The Highlander’s Mate! I hope you enjoyed meeting Bran. Right now this story is only available in the Highland Shifters boxed set, but it will be included in Wolf at Her Door. 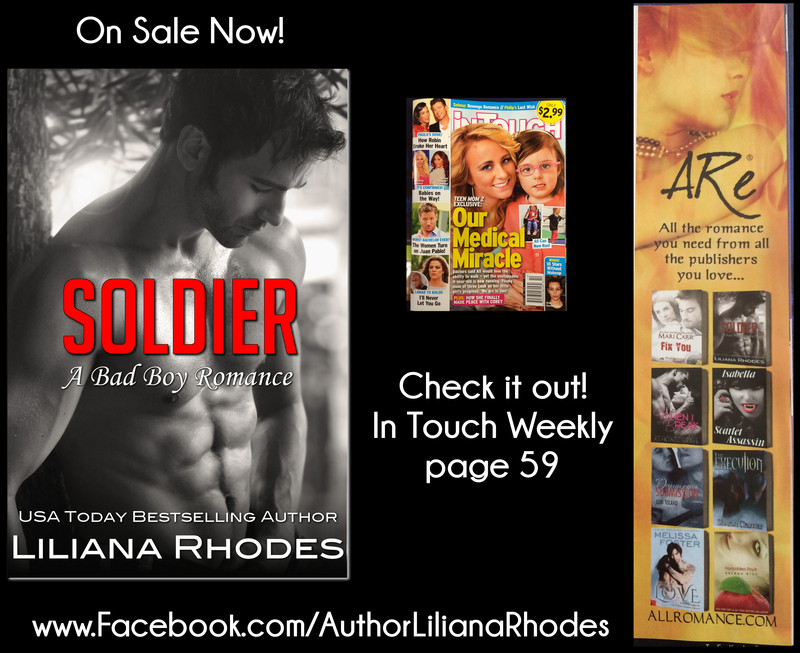 Visit my website at www.LilianaRhodes.com to see all my upcoming releases! 99 CENTS Highland Shifters 12-Author Boxed Set. Are you ready to peek under the plaid? I’m so excited to tell you about Highland Shifters! 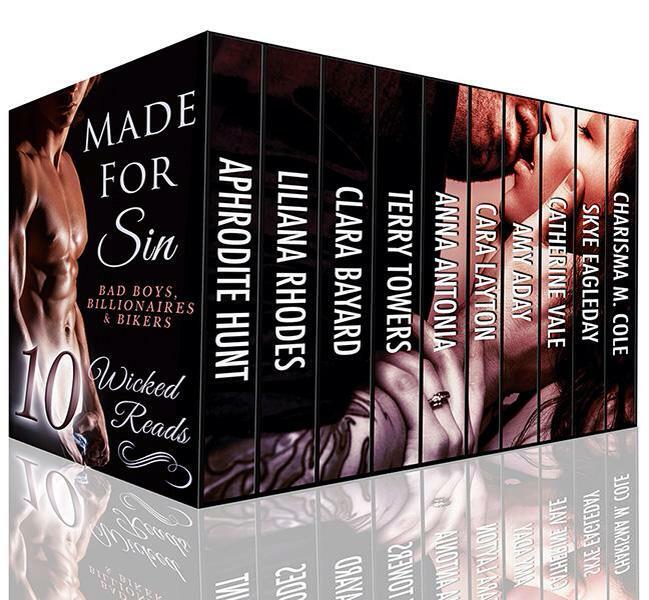 It’s a 12 author set I’m part of. My story is The Highlander’s Mate, the prequel to Wolf at her Door. I’ll post the first chapter of The Highlander’s Mate tomorrow, but in the meantime check out Highland Shifters for only 99 cents! 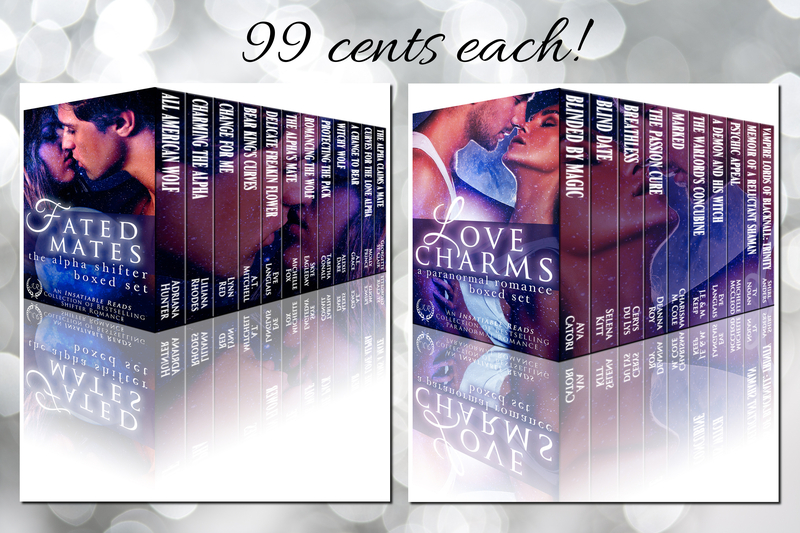 12 scorching hot shifter romances for only $0.99! Find out what’s under that kilt in this collection of steamy shapeshifter romances! NY Times and USA Today bestselling authors such as Selena Kitt, Michelle Fox, Tabitha Conall, Adriana Hunter and Liliana Rhodes offer stories featuring hot alpha shifters in kilts. Most of the 12 stories in the collection are brand new! Are you ready to peek under the plaid? Her Scottish Alpha by Tabitha Conall: In the midst of trying to figure out their mating, Alpha werewolf Lachlan and dragon slayer Keira have to find Keira’s missing sister, fight a war and save Lachlan’s life. Liulf by Victoria Danann: For two thousand years the Scotia werewolves have enjoyed the protection of the Fae Monarchy, but the world is changing and the tribe must adapt or face extinction. Or move. Highland Wolf Pact by Selena Kitt: Englishwoman Sibyl Blackthorne escapes her arranged marriage to a cruel Scot only to find herself in the arms of something even more dangerous – and discovers only one wild heart can claim another. Kiss the Dragon by Michelle Fox: A cursed dragon finds his maiden is already claimed by the future. If he can’t save her, she can’t save him. By the Light of the Scottish Moon by Red Phoenix: Bryn, the pack leader, is so lost in his own pain he can’t see beyond it. Freya is dying & has come home to Scotland.to say goodbye. Her fate lies in his hands – but to save her he must kill her. Highland Moon Rising by Sarah Makela: When wereleopard Caitlyn returns home to see her werewolf half-brother after he’s rescued from scientists, she’s imprisoned by the Pack. Will the Alpha who hungers for her be the protector she needs? Knights of Stone by Lisa Carlisle: Gargoyles, tree witches, and shifters have divided their Scottish isle. When a witch breaches into another territory, she’s tempted by a forbidden attraction that may affect the future for all. The Zrakon’s Curse by Linda Barlow: Sea dragon shifter Colin Malloch’s need for a mate draws a woman from another world into grave danger. How can he keep her safe when his own brother demands her life? To Tame a Highlander by Adriana Hunter: Curvy nurse Aspyn Montgomery’s night takes a sudden turn when a patient she watched die suddenly turns up at her apartment desperately needing help. Can fated love triumph over the threat of war? Roots and Fang by Skye Eagleday & Ripley Sage: When McKay takes a male Fae lover it triggers the deadly jealousy of the powerful Pooka shape-shifter the Fae abandoned. Can love conquer all when only one of you is human? Midnight Hunt by Arial Burnz: As Broderick unravels the mystery of why Monika reminds him of his late wife, his quest for answers causes a chain of events, starting a witch hunt, dooming them both to the fiery stake of judgment.